Start selling your products and services on your Pixpa website. 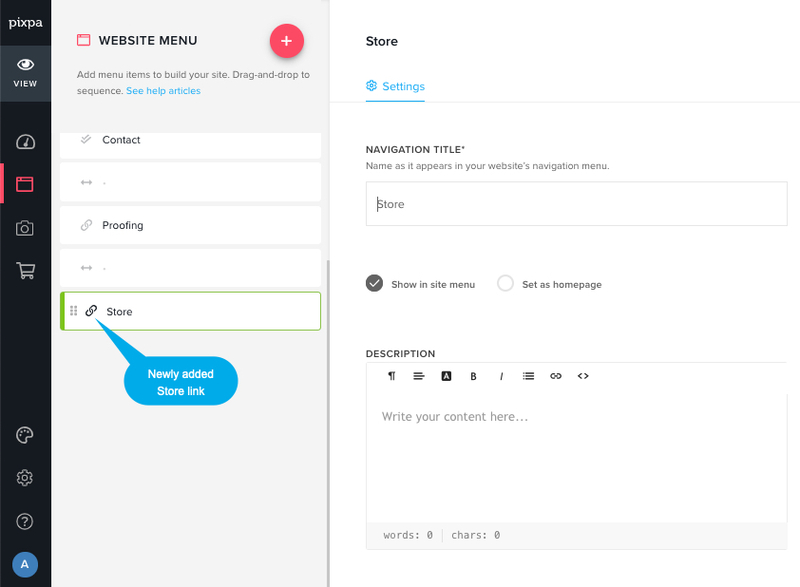 Adding the Store in your website navigation is as easy as a couple of clicks. 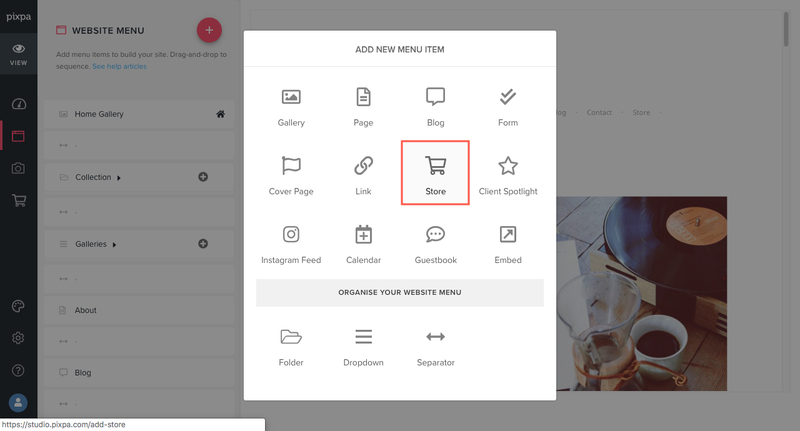 This will open up a screen which lets you choose the different types of menu items that you can add to your website. Click on the Store menu item. That’s it. The Store is added now. You would see this in your website menu in the last. You can drag and drop the newly added Store link to its correct position in the website menu. See this article on how to sequence links in website menu. 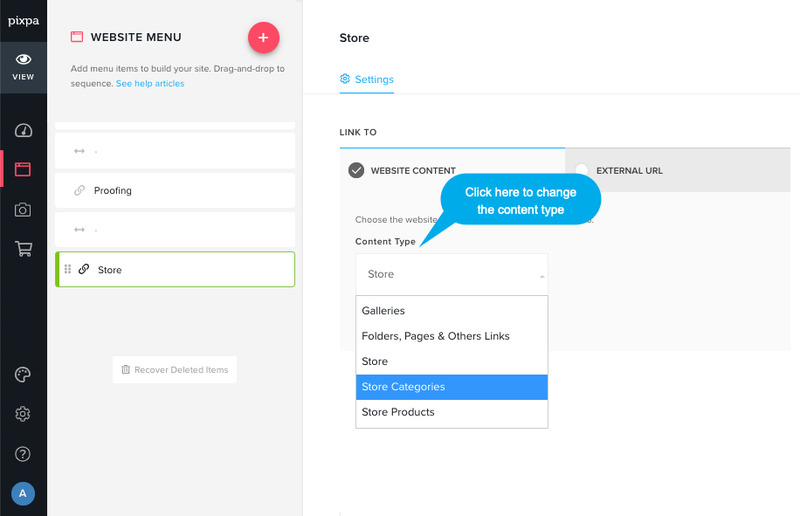 Note: You can also point this store link to any specific store category or individual product by changing from Content type dropdown. 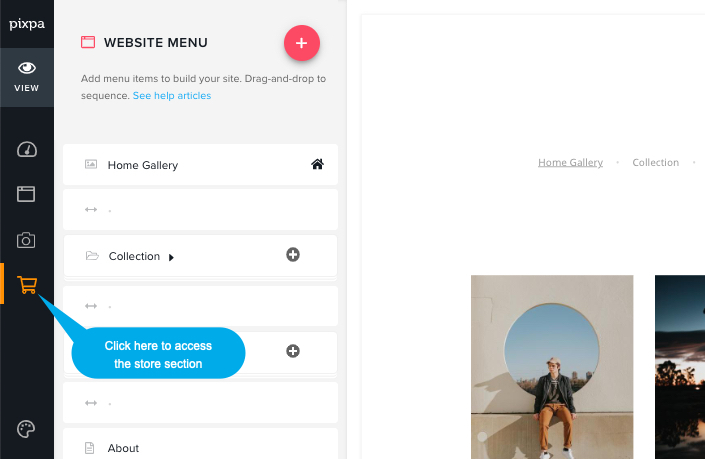 Once you add the store link in your site navigation, Go to store section where you can manage your orders, products, shipping rates, taxes, discounts etc. 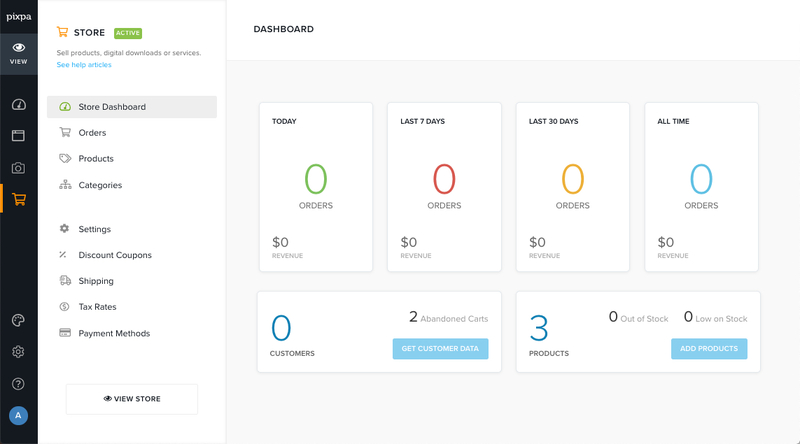 In the next step, you would land on store dashboard. You can manage everything regarding your store from here. By default your store is live at /store (default store homepage link or slug ). If you want to change it something else like /shop or /boutique etc then go to store settings. You would see your store home page link there. You can change this to anything which will be updated automatically in website navigation. You can easily sequence the store link by drag and drop if you want to. Click here to manage your store settings. Click here to see how to add a product.